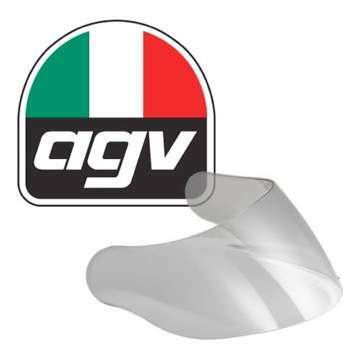 Genuine�AGV Visors, Clear, Light Tint, Black & Mirrored to fit all AGV Motorcycle Helmets. All models Available. If you don't see your helmet model in the list below please contact us. Genuine �AGV Visors to fit the following AGV helmets: S4-SV, Stealth-SV, & Numo, GT Numo Evo, Skyline, Horizon, GT2, K3-SV, Strada, Compact. Genuine �AGV Visors to fit the following AGV helmets: S4, Airtech, Stealth, V-flyer, Q3, GT, Syncro, Bolt, Ghost, Ti-Tech,Ti-Tech Evolution, X-Vent, X-R2, X-Q5, X-Q7, GP-Pro, Mirage, Daystar, Flyer.� Please note: this visor will not fit the later AGV S4-SV & Stealth SV helmets produced since 2010.